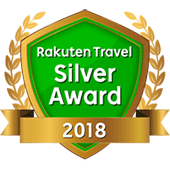 The Cityview receives 'Rakuten Travel Silver Award 2018' from Rakuten Travel, which is one of the largest Japanese online travel agencies, in recognition of our high rate of customer satisfaction, a true testament to our success in fostering staff effort to attain "omotenashi" - the essential spirit of Japanese hospitality. 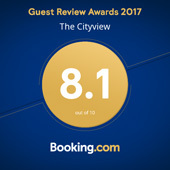 The Cityview earns 'Booking.com 2018 Guest Review Awards' in recognition of our efforts at providing the best experiences for guests in 2018. 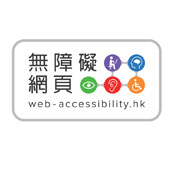 The Cityview official website is recognized by Web Accessibility Recognition Scheme as ‘Friendly Website’, which commends our effort in adopting accessibility design in our website and contributing the development of a caring and inclusive society. The Cityview is awarded with ERB Merit Award for Employers from Employees Retraining Board, which recognizes our efforts in providing on-the-job training and career development opportunities to candidates recruited, assisting in the promotion of the courses and services of ERB, shouldering corporate social responsibilities and helping the underprivileged to secure employment etc. 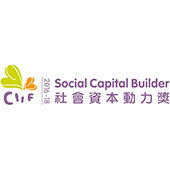 The Cityview receives 'Social Capital Builder (SCB) Logo Award 2018-20' from the Community Investment and Inclusion Fund (CIIF) of the Labour and Welfare Bureau, a statement of commendation for those practice good social capital development and unleash the power of cross-sectoral collaboration. The Cityview is recognized as the Best Selling Hotel 2017-18 from Ctrip.com – The largest online travel agency in China. 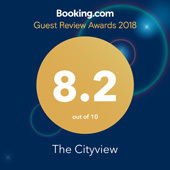 The Cityview won 2018 Customer Review Awards from Agoda.com in recognition of our efforts at providing guests with the best accommodation experience and gained score 8 or above in 2018. 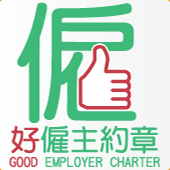 The Cityview participated in Labour Department's Good Employer Charter, which pledges to adopt employee-oriented and progressive good human resource management practices. The Cityview has received on-going recognition from EarthCheck with Gold Certification for the third consecutive year! 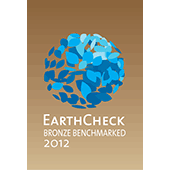 EarthCheck is the world's leading certifier of travel and tourism organizations on their outstanding performance related to environmental protection. This recognition has further affirmed our efforts in achieving highest standards of environmental performance which is benefited from our green operation. The Cityview receives Hanson Merit Award in Energy Saving Championship Scheme to commend our effort in achieving energy saving target with implementation plans and engaging staff and guests to work together on energy saving activities. 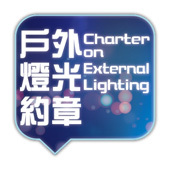 The Cityview earned the Gold Award of "Charter on External Lighting" from The Environment Bureau. The award commended us fulfilling the pledge to switch off external lighting at midnight to minimize energy wastage and light nuisance. participating in food waste collection and source separation, which helps to improve the operation and public image of food waste recycling industry, as well as reduce the burden on landfills. 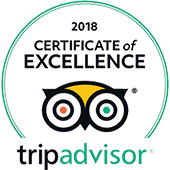 The Cityview earns TripAdvisor Certificate of Excellence 2018, praising us on consistently receiving strong praise and ratings from travellers over the past year. 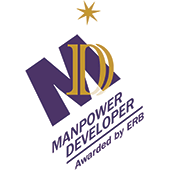 The Cityview is named one of the winners of the " Grand Prize Award " under the "ERB Manpower Developer Award Scheme" for four successive years by the Employees Retraining Board in 2017-18 . 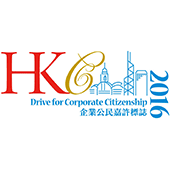 This award recognises The Cityview’s commitment to corporate social responsibility in terms of manpower training and development in Hong Kong. The Cityview is honored to be the Gold Award winner of the 2017 Hong Kong Awards for Environmental Excellence (HKAEE) - Hotels and Recreational Clubs sector, which recognizes The Cityview's excellent performance on environmental management. Amazing receives recognition as a "U Favorite 2018 Food Awards - Asian Restaurant" from U Magazine. 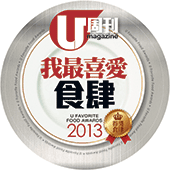 Amazing has been voted as "U Favorite Food Awards - Asian Restaurant" for four successive years by U Magazine's readers for her high quality of food & services. 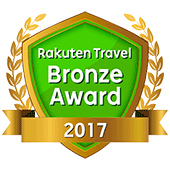 The Cityview receives 'Rakuten Travel Award 2017 - Bronze' from Rakuten Travel, which is one of the largest Japanese online travel agencies, in recognition of our high rate of customer satisfaction, a true testament to our success in fostering a staff effort to attain "omotenashi" - the essential spirit of Japanese hospitality. 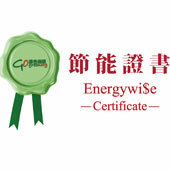 The Cityview earns " Energywise Certificate" from Hong Kong Green Organisation Certification in recognition of our efforts in energy efficiency of lighting installations, air conditioning installations, electrical installations, lift and escalator installations etc. 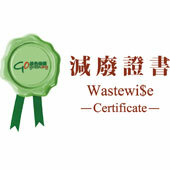 The Cityview is proud to received “Wastewise Certificate” from Hong Kong Green Organisation Certification. This certificate commended The Cityview’s efforts in waste avoidance & reduction measures, collection & recycling of recyclable materials, and recycled products purchase etc. 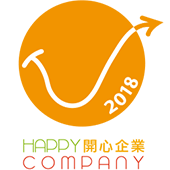 The Cityview earns Hong Kong Productivity Council recognition as a "Happy Company" for three years in a row. The award commended our effort in creating a happy work environment to our employees. 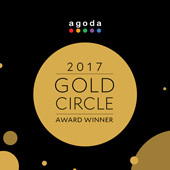 The Cityview earns "2017 Gold Circle Award" from Agoda.com, one of Asia’s leading hotel booking sites. 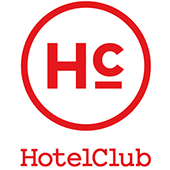 This Award is presented to about 1% of their accommodation partners around the world, reflecting only the very best online booking travel experience. 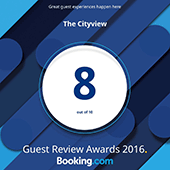 The Cityview earns 'Booking.com 2017 Guest Review Awards' in recognition of our efforts at providing the best experiences for guests in 2017. 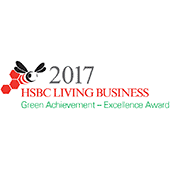 The Cityview is proud to receive “HSBC Living Business Awards 2017 - Certificate of Excellence on Green Achievement Award”. This award commended The Cityview’s efforts in environmental management including the environmental policy, environmental communication and training for employees and suppliers, management on energy, carbon emission and conservation. The Cityview has received on-going recognition by EarthCheck Gold Certification for the second consecutive year! 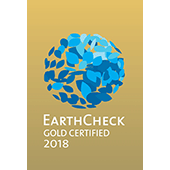 EarthCheck is the world's leading certifier of travel and tourism organizations on their outstanding performance related to environmental protection. This recognition has further affirmed our efforts in achieving highest standards of environmental performance which is benefited from our green operation. 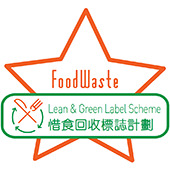 The Cityview is proud to received “Food Waste Lean & Green Label Scheme” - “Green Star Label” from the Green Council. 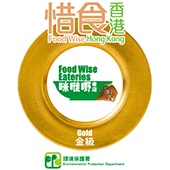 This label commended The Cityview’s efforts in reducing food waste in five aspects: food waste management strategy, food procurement, food storage, portion control and promotion, and food / food waste handling. The Cityview is recognized as the Best Selling Hotel 2016 from Ctrip.com – The largest online travel agency in China. The Cityview earns TripAdvisor® Certificate of Excellence 2017, praising us on consistently receiving positive reviews and ratings from travellers over the past year. 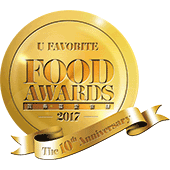 Amazing receives recognition as a "U Favorite 2017 Food Awards - Asian Restaurant" from U Magazine. 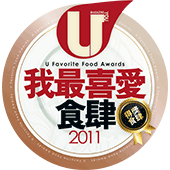 Amazing has been voted as "U Favorite Food Awards - Asian Restaurant" for three successive years by U Magazine's readers for her high quality of food & services. 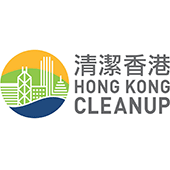 The Cityview is proud to be one of dozens of organisations in Hong Kong achieving Waste Check Promotional Partner Award (Class of Excellence) by the Environmental Protection Department of HKSAR. This award commended The Cityview’s efforts in holding waste reduction publicity and educational activities. 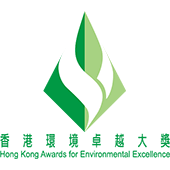 The Cityview is honored to be the Silver Award winner of the 2016 Hong Kong Awards for Environmental Excellence (HKAEE) - Hotels and Recreational Clubs sector, and it is the second year that we are being recognized, which showcases The Cityview's excellent performance on environmental management. The Cityview has won the first runner up of "Happy Company Photo Competition -Enterprise Section" by "Promoting Happiness Index Foundation". The awarded image, named as "Company Outing", has demonstrated the team spirit of our management and staffs during staff recreation activity. 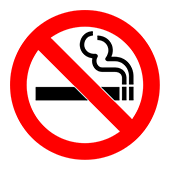 The Cityview is proud to announce our implementation of 100% smoke-free policy from 1 April 2017 to provide our guests with high quality and healthy accommodations. 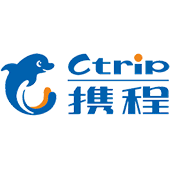 The Cityview has received "2016 Best Service Innovation Award" from Ctrip - China's largest online travel agency by achieving 97% guest recommendation and 4.5/ 5.0 excellent guest reviews. We are honoured to be recognized by both travelers and business partners not only on our personalized service, but also our innovative green operation initiatives as well as our recent renovated lobby in ‘Urban Oasis’ concept. 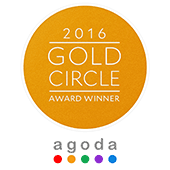 The Cityview earns "2016 Gold Circle Award" from Agoda.com, one of Asia’s leading hotel booking sites. This Award is presented to fewer than 1% of their accommodation partners around the world, reflecting only the very best online booking travel experience. 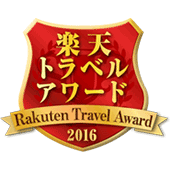 The Cityview receives 'Rakuten Silver Award 2017' from Rakuten Travel, one of the largest Japanese online travel agencies, in recognition of our high rate of customer satisfaction, a true testament to our success in fostering a staff effort to attain "omotenashi" - the essential spirit of Japanese hospitality. 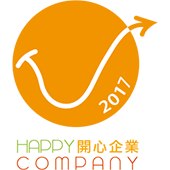 The Cityview earns Hong Kong Productivity Council recognition as a "Happy Company" for second consecutive year. 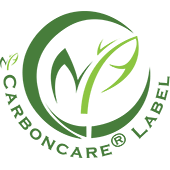 The Cityview is accredited with 'CarbonCare® Label 2016' in recognition our efforts and actions to tackle climate change and realise carbon reduction/neutrality status by Measuring, Reducing and Offsetting (MRO) carbon footprints. 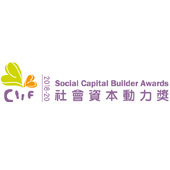 The Cityview receives 'Social Capital Builder (SCB) Award 2016' from the Community Investment and Inclusion Fund (CIIF) of the Labour and Welfare Bureau, a statement of commendation for those practise good social capital development. The Cityview earns a ‘tie’ for the ‘Bronze in Team Spirit - Coastal for Hong Kong Cleanup 2016’, in praise of our efforts to keep our ocean area and beaches clean and pristine. 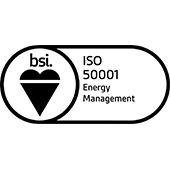 The Cityview earns ISO 50001:2011 qualification for Energy Management Systems by the British Standards Institution in July 2016. This independent assessment demonstrates Cityview’s environmental excellence in its efforts to reduce energy use by adopting industry best practices, which, in turn leads to reduced greenhouse gas emissions. The Cityview receives on-going recognition by 'EarthCheck', the world's leading certifier of travel and tourism organisations on their outstanding performance related to environmental protection. After earning 'Silver Certified' status consecutively for the fourth year, in Aug 2016 The Cityview wins Gold Certification. 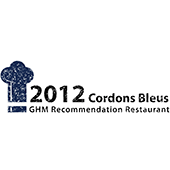 GHM Cordons Bleus short-lists The Balcony as a ‘Recommendation Restaurant - Asian Cuisine’ for The Balcony's chef team’s outstanding culinary skills. The Cityview earns TripAdvisor® Certificate of Excellence 2016, praising us on consistently receiving positive reviews and ratings from travellers over the past year. 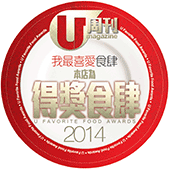 Amazing wins "U Favorite 2016 Food Award - Asian Restaurant" from U Magazine. 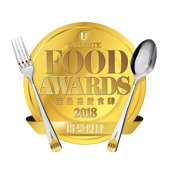 Amazing now has been voted as "U Favorite Food Award - Asian Restaurant" for two consecutive years by U Magazine's readers for the eatery’s high food quality and excellent services. The Cityview is honored to be the ‘Silver Award’ winner of the 2015 Hong Kong Awards for Environmental Excellence (HKAEE) - Hotels and Recreational Clubs sector, which recognizes The Cityview's superior performance in the field of environmental management. 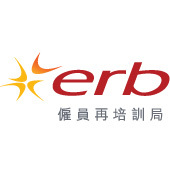 The Cityview is named one of the winners of the "MD Grand Prize Award" under the "ERB Manpower Developer Award Scheme" ("the Scheme") in 2014-16 . This award recognises The Cityview’s commitment to corporate social responsibility in terms of manpower training and development in Hong Kong. The Cityview is named "Green Business Hotel" at the High-Flyers Awards 2015 for Hong Kong Businesses, highlighting our outstanding ability for constant innovation, customer-centric focus and overall social responsibility. 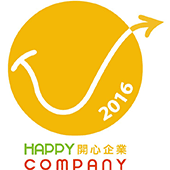 The Cityview is recognised by the Hong Kong Productivity Council as a "Happy Company". 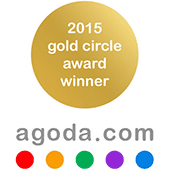 The Cityview earns the“2015 Gold Circle Award” from Agoda.com, one of Asia’s leading hotel booking sites. The Award is presented to properties based on aggregate customer reviews, price competitiveness, a deep understanding of the complexities of the online booking industry and other key factors. The Cityview is presented with The “6th Hong Kong Corporate Citizenship Logo” in the Enterprise Category, an award scheme organised by the Hong Kong Productivity Council to recognise those enterprises with outstanding achievements in CSR. Amazing earns “Gold Class Food Eateries” status from the Environmental Protection Department (EPD) in recognition of the restaurant’s commitment toward reducing food waste. 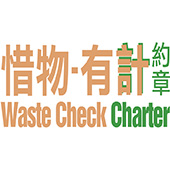 The Cityview signs the “Waste Check Charter” organised by the Environmental Protection Department of the Hong Kong Government. The Cityview’s high eco-friendly standards are again recognised by EarthCheck, the world's leading certifier of travel and tourism organisations. The Cityview earns Silver Certified status for the fourth consecutive year. 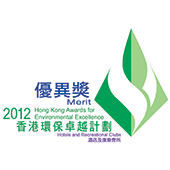 The Cityview is “Merit Award” winner for Hotels & Recreational Clubs in the ‘Sectoral category’ at the 2014 Hong Kong Awards for Environmental Excellence. 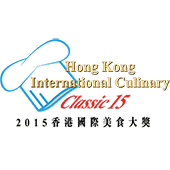 The Cityview pastry chef, Ms Chan Lai Shun, participates in the ‘Hong Kong International Culinary Classic 15’‬ and wins the Bronze Medal in the category ‘Pastry – U25 Young Pastry Chefs Chocolate Coffee Cake’. 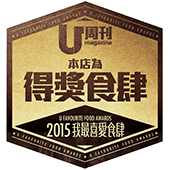 Amazing earns recognition as a“U Favorite Food Awards 2015 – Asian Restaurant” from U Magazine. 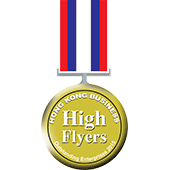 The Cityview is recognised again as a“Green City Hotel” at the Hong Kong Business ‘High-Flyers Awards 2014’. This award programme recognises outstanding organisations in various industries. 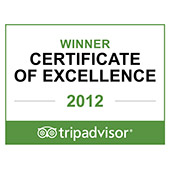 The Cityview is highly praised for its green practices with respect to business operation in the hospitality industry. 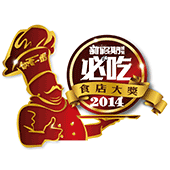 The Cityview is recognized as the Silver Medal of The Advancement Award 2014 from Ctrip.com. 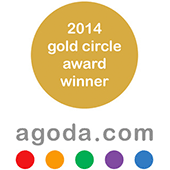 The Cityview earned “2014 Gold Circle Award” from Agoda.com, one of Asia’s leading hotel booking sites. The Awards presented to properties based on aggregate customer reviews, competitiveness of pricing, a deep understanding of the complexities of the online booking industry etc. 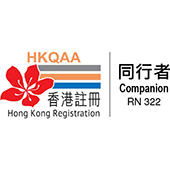 Only below 20 out of few hundreds accommodation partners in Hong Kong received this recognition and The Cityview is honored to be one of those. The high eco-friendly standards of The Cityview are continuously recognised by EarthCheck, the world's leading certifier of travel and tourism organisations. 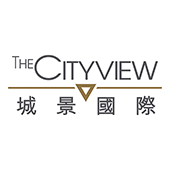 The Cityview achieved Silver Certified status consecutively for the third year. 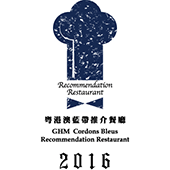 The Balcony obtains“2014 Best-Ever Dining Award”presented by Hong Kong popular travel and dining magazine, Weekend Weekly. 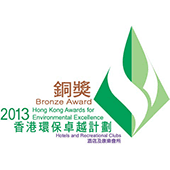 The Cityview is honored to be the Bronze Award winner of Hotels & Recreational Clubs under Sectoral Awards of 2013 Hong Kong Awards for Environmental Excellence. 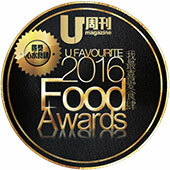 City Cafe receives recognition as a “U Favorite Food Awards 2014 – Buffet Restaurant” from U Magazine and we received such award for 4 consecutive years. 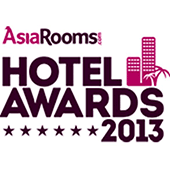 The Hong Kong Business High-Flyers Awards 2013 names The Cityview as the ‘Green City Hotel’. 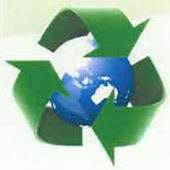 The Cityview participates in the Yan Oi Tong Plastic Recycling Partnership Scheme 2012 and is awarded ‘Second Runner-up’ by the Yan Oi Tong EcoPark Plastic Resources Recycling Centre. AsiaRooms.com Hotel Awards 2013 recognises The Cityview as one of just 10 accommodation partners (and the only Hong Kong property) initiating ‘Best Eco-Friendly Initiatives’ to protect and conserve the environment. 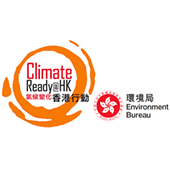 Recognised by the community as one of the most prestigious environmental award schemes in Hong Kong, the ‘Hong Kong Awards for Environmental Excellence’ encourages businesses to adopt green management practices and also gives them an opportunity to benchmark their environmental excellence. The Cityview was a proud winner of this award along with receiving a ‘Certificate of Merit’ in Hotels and Recreational Clubs Sector. 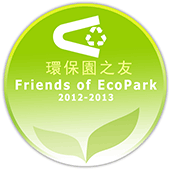 EcoPark, an Environmental Protection Department waste management facility, gives The Cityview Friends of EcoPark 2012/13 award in recognition of our contributions toward environmental protection through proactive cooperation with the local recycling industry and operating in an eco sustainable way. 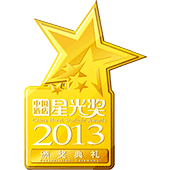 The Cityview takes the coveted Golden Pearl Award as The Best Green Business Hotel 2012 in Guangdong, Hong Kong & Macau. The Hong Kong Business High-Flyers Awards 2012 names The Cityview as the ‘Most Outstanding Business Hotel in Hong Kong’. The high eco-friendly standards maintained by The Cityview are recognised by EarthCheck, the world's leading certifier of travel and tourism organisations. 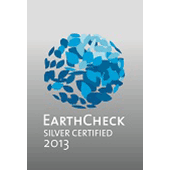 The Cityview joins industry leaders from 70 countries and more than 1,300 EarthCheck Silver Certified status awardees. The Cityview’s environmental performance is recognised by EarthCheck, the travel and tourism industry’s leading environmental management, benchmarking and certification company. By benchmarking with EarthCheck, The Cityview joins other industry leaders demonstrating a willingness to take meaningful steps toward resolving very real issues that face the planet. 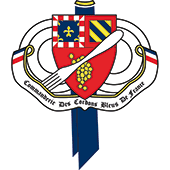 The Balcony becomes a corporate member of Commanderie Des Cordons Bleus De France, a globally elite cuisine and cultural organisation that recruits and assesses outstanding chefs and gourmets. 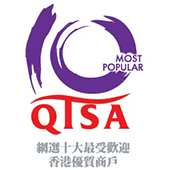 City Cafe feted as ‘2012 Most Popular QTS Merchant Award’ (Online Voting) - by the Quality Tourism Services Association. 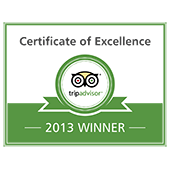 The Cityview earns ‘2012 TripAdvisor Certificate of Excellence’. 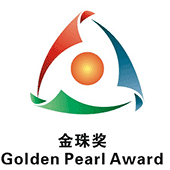 Golden Pearl Award names The Cityview as ‘The Best Economical Hotel 2011’ in Guangdong, Hong Kong & Macau. 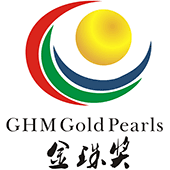 The Cityview’s senior Chinese chef - Mr. Roy Lee is selected one of ‘10 Famous Chefs of Guangdong, Hong Kong & Macao Region 2011’ at the GHM Golden Pearl Awards. 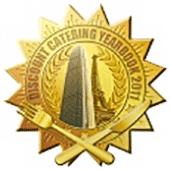 City Cafe recognised at 2011-12 Discount Catering Yearbook Awards – ‘International Buffet Restaurant – Seafood’. 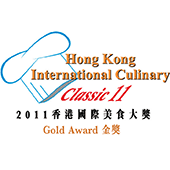 City Cafe earns Quality Tourism Services (QTS) qualification from the Hong Kong Tourism Board. The Cityview recognised as Finalist at the ‘Outstanding Value Hotel Awards in Hong Kong 2010 by Hotelclub.com. 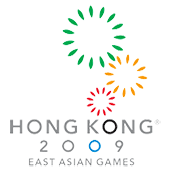 The Cityview named a designated accommodations partner at the Hong Kong 2009 East Asian Games, offering referees and media accommodation, catering and meeting facilities. Function room on 5/F is renovated and named the ‘Diamond Room’. After undergoing a multi-million dollar renovation project, we re-launched as the brand new 4-star - "The Cityview". (Formerly named YMCA International House).